We're counting down to our very first PyLadies meetup that is scheduled to take place next week as our Python Weekly. Register to join our meetup today! We are stoked about increasing our diversity and outreach efforts to grow our Python family. It is important we continue finding creative ways to cultivate an inclusive environment where all community members can enjoy their Python coding experience. Python is one of the fastest growing programming languages for many reasons: it is easy to learn and use, it is quick to implement, and it is robust and fast. Python can be one's first programming language and can also be the language of choice for large industries. Right now, college courses across the country are moving their curricula to Python; and this same language taught to aspiring coders powers Google, YouTube, Dropbox, Reddit and hundreds of other world class applications. PyLadies' focus is to expand the Python community's diversity through meetups, social outreach, and education. 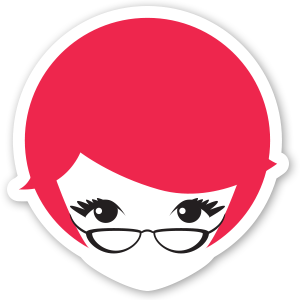 PyLadies first chapter started in Los Angeles and has since then exploded across the globe! PyHawaii is enthusiastically working with the first PyLadies chapter in Hawaii get off the ground and expand the overall Python community. Python and PyLadies are an awesome combination. PyLadies has put thousands of meetups in over 50 different locations and brought in untold numbers of aspiring and experienced Python developers. Python is a great, general purpose language that is one of the top choices for data scientists, students, teachers, business analysts, rapid application designers, computer graphic artists, and people in hundreds of other fields. Python is not just the Jack and Jill of all trades, but it is the master of them as well! Thanks for sharing those useful basic programming information, it helps me a lot to explore my knowledge in programming...if you want to switch your career in developing area you should know the basic of programmings for that you have to learn python, it was the first programming language. Thanks for your informative post on Java application development. This open source platform assists software developers to create stunning mobile application with ease. Further, they can make use of this platform at free of cost. Pretty article with useful information in your blog. I love this place. I had an event here back in May last year and I felt like it was a perfect day for us! The NYC venues provides you with an event Specialist as part of your package which is extremely helpful. Plus all of us dressed up only added to the entire ambience. Your updating wonderful post. Thank you.. Web Designing Training Institute in Chennai | Web Designing Training Institute in Velachery. Nice and good article, Thanks for sharing sharing your valuable information. After reading your blog I just wanna say one word yet thanks for the suggestions that you are contributed here. I would like to thank the blog admin for sharing this useful information in my vision. I have been searching for this blog for a while. You have posted a worthy blog. Thanks for sharing. very useful information. This is the place for a learner and glad to be here.Meets and exceeds expectations.